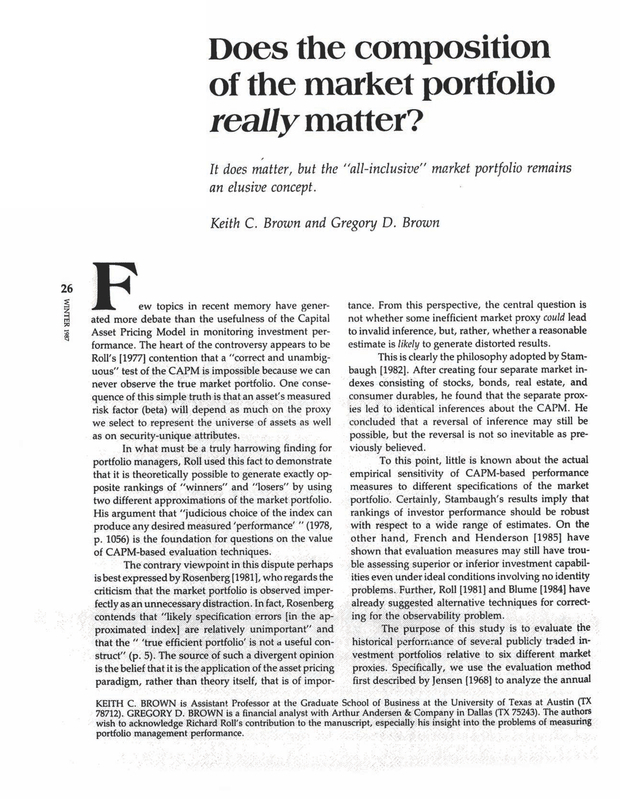 Does the Composition of the Market Portfolio Really Matter? Assistant Professor at the Graduate School of Business at the University of Texas at Austin (TX 78712). A financial analyst with Arthur Anderson & Company in Dallas (TX 75243). You are going to email the following Does the Composition of the Market Portfolio Really Matter?